CENTRAL — Gov. 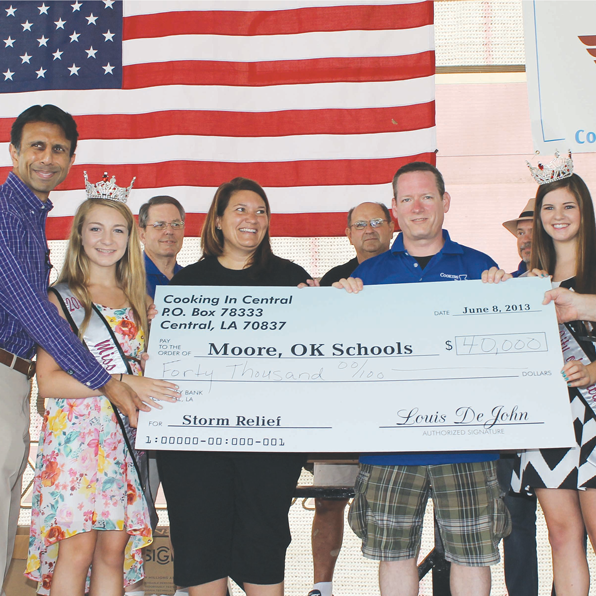 Bobby Jindal attended Cooking in Central Saturday and praised the Central community for its efforts to aid victims of the tornado in Moore, Oklahoma. Jindal said Central is an example of America at its best. An emotional Moore elementary school principal Kathy Knowles said Central’s gesture was part of the healing process.